Bon Jovi were the kings of the 1980s pop metal scene. They sustained a career long after bands of the era faded from popularity. Bon Jovi were one of the bands that inspired me to want to play music. The songs inspired me to learn the riffs and solos. I also learned how to sing harmony by learning the backing vocals provided by Richie Sambora. Here we review and recommend Bon Jovi songs to learn from each album in their 30 year career. Harder rocking than some of the bands later albums. Singer Jon Bon Jovi gained a recording contract and then employed band members to form Bon Jovi. Thankfully they rejected the band name Johnny Electric. Sounding like second rate Journey this album has good moments. Guitarists learn Burning for Love. This album takes a step towards the signature Bon Jovi sound. Band members took over writing all songs on the album. It is heavier on the guitars. A hidden classic in the catalogue. Drummers learn Always Run to You. The band found mega stardom of the back of five huge hits. The band teamed with songwriter Desmond Child to create the biggest anthems of the decade. Living on a Prayer, You Give Love a Bad Name and Wanted Dead or Alive are still performed at every Bon Jovi concert to this day. Not a bad track on this album. Guitarists learn Raise Your Hands. Keyboardists learn Let it Rock. Drummers learn Living on a Prayer. Following the success of Slippery, New Jersey contained more huge hits and great album tracks. Songs like ‘Lay Your Hands on Me’ and ‘Bad Medicine’ were megahits. 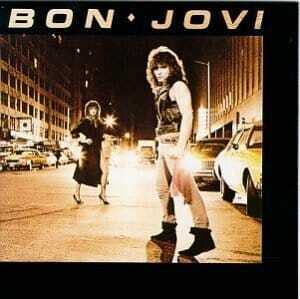 This is my favourite Bon Jovi album. By the end of the tour cycle for this album the band almost broke up. They were the biggest band in the world at this time. The songs that weren’t singles are even better on this album. Keyboardists learn Born to Be My Baby. Drummers learn Blood on Blood. Bon Jovi reformed after a break in which band members released solo albums. Keep the Faith is more a classic rock groove album than previous efforts. They proved they could still write hit songs in the new decade as music styles dramatically changed. Songs such as Keep the Faith, In These Arms and Bed of Roses were massive. One of my favourite concerts to watch was the MTV album release show. It was on late night and made me a lifelong fan of the band. Watch the concert below. Keyboardists learn Bed of Roses. The hair metal era become a running joke in the 90s grunge and alternative dominated rock scene. Bon Jovi maintained a high level of success. These Days was a mature effort showing more blues influence. The stadium rock swagger is tamed. Bass player Alec John Such left the band prior to the recording of this album. It is known that he did not play on many studio recordings when a member of the band. His replacement Hugh McDonald recorded many bass parts on previous albums. Guitarists learn Something for the Pain. Drummers learn Something to Believe In. After surviving the 90s alternative whitewash of 80s rock acts, Bon Jovi had their biggest hit with “It’s My Life”. The band also never fails to serve up some great album cuts. An enjoyable listen start to finish. Guitarists learn It’s My Life. Keyboardists learn Thank You for Loving Me. The world changed after the 9/11 terror attacks on the USA. The theme of this album . The songs are not as strong as previous albums. This is the heaviest album in the catalogue with a big guitar and drums sound throughout. Guitarists learn Hook Me Up. The band from this point on settle sound like Jon’s backing band. Not that this a bad thing for this album. Containing some great deep cuts like Novocaine. I was lucky enough to see the band at Madison Square Garden in New York during this tour. Guitarists learn Last Man Standing. Keyboardists learn Story of My Life. Bon Jovi cashed in on the growing pop country music culture to create this album. 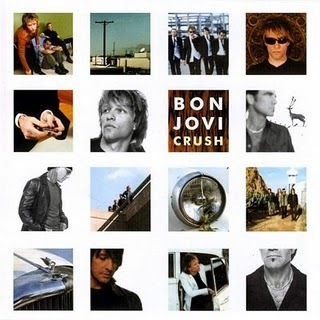 Hidden among the clichéd novelty tracks are the best songs Jovi had written in the 2000s. Buy a Keith Urban album instead for a real pop country experience. Guitarists learn Whole Lot of Leaving. Drummers learn We Got It Going On. Bon Jovi returned to the traditional sound of the band for this 2009 album. This album is sneaky good. It contains the best late era Jovi tunes such as Superman Tonight, Love’s the Only Rule and When We Were Beautiful. Another tour where I got to see the band live. Possibly their last great recording as what has followed has been awful. Guitarists learn Love’s The Only Rule. Keyboardists learn Love’s The Only Rule. Drummers learn Love’s The Only Rule. Not a good one. It is a tough listen. Listen and learn from all previous albums. Richie Sambora released a solo album prior to the release of this, please buy that instead. Richie left the band before the tour of this album. 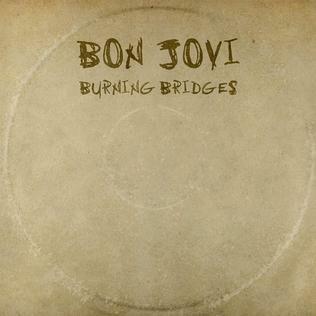 This album features previously unfinished song to fufil the final album of Bon Jovi’s recording contract. The band had been with Mercury Records for all 32 years of its history. While an improvement on the previous album its still one for the completest. It is the first album without guitarist Richie Sambora. As well as the studio albums have a great collection of tracks only released on Greatest Hits compilations and box sets. Songs to seek out are Edge of a Broken Heart, Always, Radio Saved My Life and look at the Richie Sambora solo albums for more great music.